Your Streamwood home is one of the biggest and most important investments you’ll make in your life, so when you need any remodeling work for it, it’s important that you have a remodeling contractor you know you can trust. At Best Home Renovations, all of our professional remodeling contractors are licensed, trained, and extensively experienced, so at every job, we can always guarantee your complete satisfaction with the work we provide. We also strive to give you the best customer service possible, and we work with each of our clients directly to design every single project we work on. While we might be expert remodeling contractors, you’re the only expert there is when it comes to your home. Call us today with any questions you have about the services we provide, or to schedule your appointment, and we’ll be looking forward to starting your Streamwood remodeling project with you. Remodeling a kitchen is one of the best ways there is to upgrade your home. It immediately raises your home’s resale value, and it has a clear and definite effect on your day-to-day life. Kitchens are where most homeowners spend the majority of their time at home—cooking, cleaning, or socializing—so remodeling your kitchen can change the way your entire home looks and feels. Kitchens need to be easy to organize, attractive, and comfortable, and whether that means you need a few plumbing fixtures replaced, more counter space, or a complete overhaul of the room, our professionals can help. We’ll work with you to design the perfect kitchen for you and your home, and we can confidently guarantee your complete satisfaction with our work. Thanks to common problems like old or worn out plumbing fixtures, a poor use of space, or a lack of ventilation, the bathrooms in Streamwood homes are often more of a source of frustration than the relaxing, comfortable space you need them to be. Whether you’re looking to completely gut and rebuild a bathroom, or you’d like to maintain some of the charm of your older bathroom while upgrading and enhancing its features, our remodeling contractors will be ready and eager to tackle the job. We’ll help you design your new bathroom from the ground up, and we can construct the project with precision and professionalism. 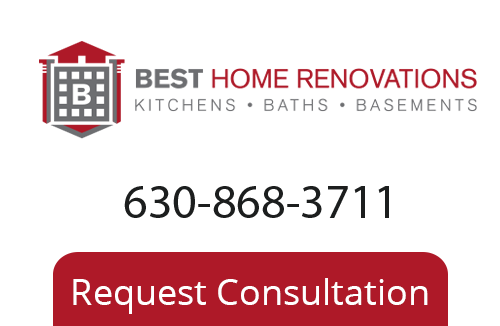 If you are looking for a home remodeling contractor in Streamwood or the surrounding areas, call Best Home Renovations at 630-868-3711, or fill out our online request form.